A. 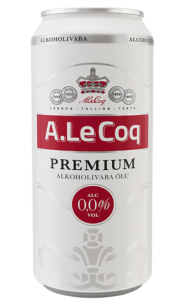 Le Coq Premium non-alcoholic wheat beer is a German style wheat beer, which has had the alcohol removed through the vacuum distillation method. Although the alcohol has been removed, the beer has retained the characteristic flavour of traditional wheat beers. 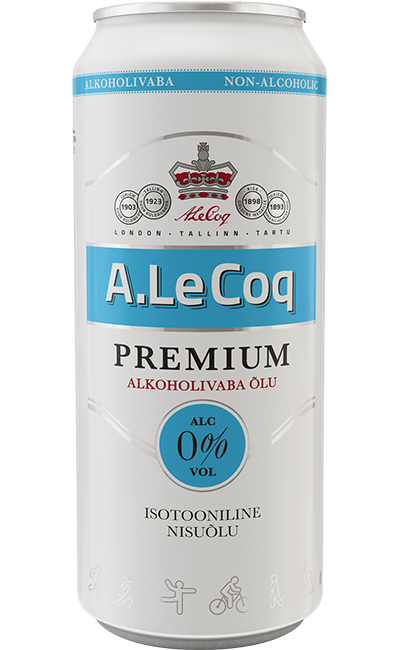 It is therefore the ideal choice for those who have decided to decrease their alcohol consumption, but don’t want to limit themselves to water and soft drinks. 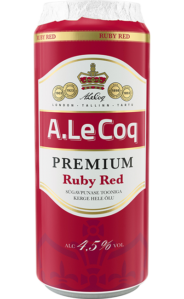 This is a naturally fermented drink, which consists of only natural ingredients and has no added sugar. A. 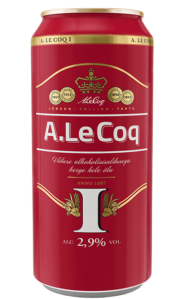 Le Coq Premium non-alcoholic wheat beer is unique due to its isotonic properties. Drinks are isotonic when their osmotic concentration or the speed at which they are absorbed into the body is similar to that of human blood plasma. 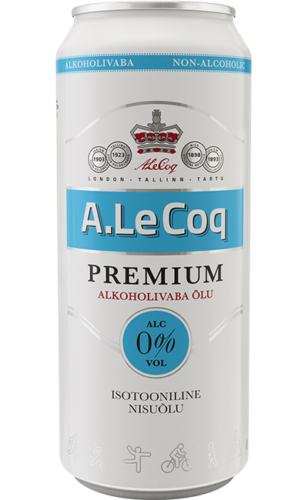 The isotonic nature of this non-alcoholic wheat beer is ensured through a carefully monitored brewing process, which has produced a combination of carbohydrates, amino acids and sodium and potassium salts in the grain that is easy for the body to assimilate. It is therefore perfect for recovering after heavy physical work or sport. Based on its carbohydrate based isotonic nature, it is a good alternative to regular sports drinks after physical training, but also a great refreshing drink for anyone who enjoys an active lifestyle. water, wheat malt, barley malt, caramel malt, vegetal extracts, hops, hop extracts, natural flavour.